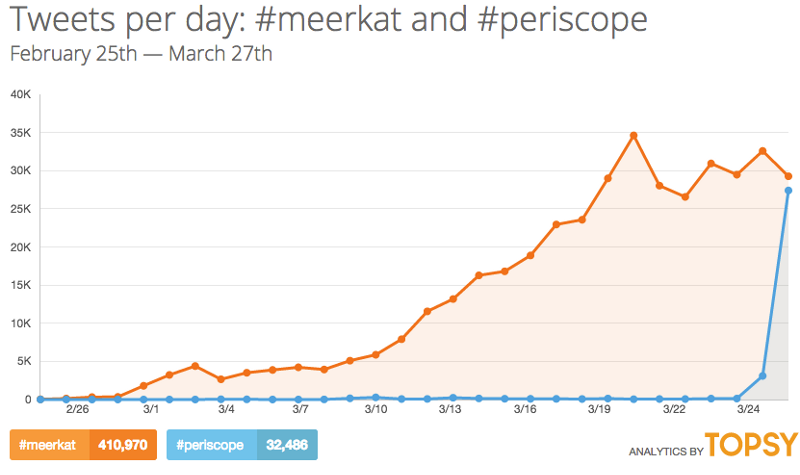 The same Meerkat vs. Periscope image every blogger ever is using. Because, why not? Live video streaming is having quite the moment. YouTube now streams major events live, Twitch.tv was acquired by Amazon for $1B and the NFL has announced they will stream a game live over the internet this coming season. A few weeks ago a live video streaming app called Meerkat launched to a significant amount of tech press buzz, but apparently far less user adoption than the buzz had you believe (peaked at 140th on US iTunes, now not even in top 500). And then last week, Twitter launched Periscope, a rival video streaming service they acquired back in January. 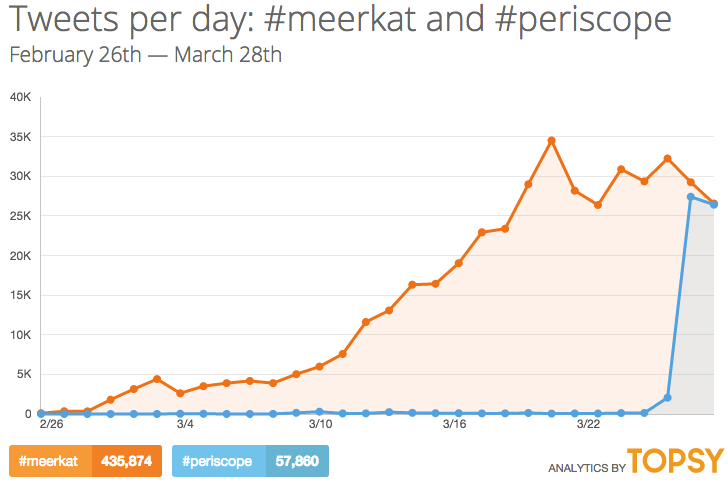 In early March Meerkat launched, using Twitter as the primary driver of user acquisition and growth. The app relied on Twitter to create accounts and find friends to follow. While that’s nothing new, the app also automatically tweeted on behalf of the user every time they started streaming. This ran afoul of twitter users and quickly racked up lots of reports of abuse. Perhaps users were having PTSD flashbacks to the days of Zynga’s Farmville overrunning their Facebook newsfeeds. Just two days before SXSW, Twitter restricted Meerkat’s API access, citing abuse of the terms of service. While the timing was curious (Meerkat was only given two hours notice, the Periscope launch was imminent), the abuse was pretty clear-cut. I’m sure they wanted to do whatever they could to slow the app’s growth. Being the breakout app at SXSW is somehow touted as an important milestone towards being the next big thing, but looking back at the list of apps considered the next big thing based on SXSW buzz seems dubious at best. Remember Frontback, Turntable.fm or Secret? Foursquare blew up at the festival way back in 2009, but six years later, they never really lived up to the incredibly high expectations. 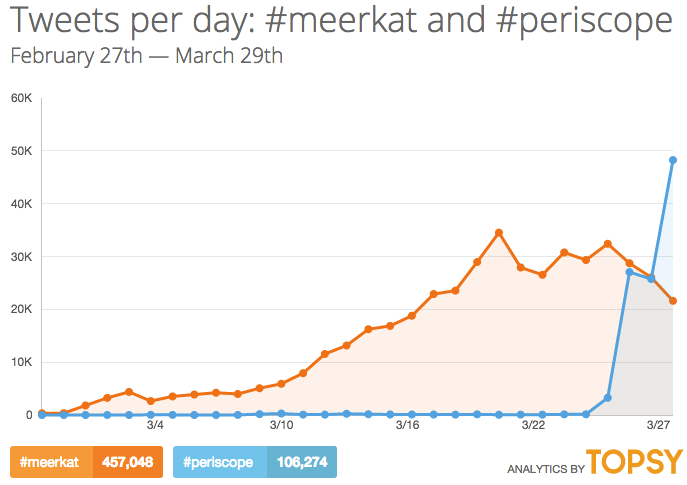 Last week Meerkat announced raising $14M in funding and Twitter finally launched Periscope. It seemed for a moment that the live streaming war was on. People were quickly making bets on which app would succeed and why. And then, just as quickly as it started, it was over. Maybe it seems obvious in hindsight, but Twitter’s product strategy decided this “war” before it was even began. They want to be the platform where the world’s real-time conversations take place. For a long time this was just text conversations, 140 characters at a time. Over time this has expanded to different forms of media like photos (failed instagram acquisition, then new photo features), .gifs / short videos (vine acquisition) and now streaming (Periscope acquisition). Everything they do with the product follows this strategy. This is why features like embeddable tweets and trending topics evolved in the way they did. Embedded tweets are now in the middle of articles written by all ranges of publications, related tweets are part of the story just as the actual content itself. The trending topics feature was initially just a basic list to show what is popular and was dominated by random hashtag stunts, but now it’s used to drive people to talk about what’s happening in the world and governed by algorithms to makes those topics as relevant as possible. Vine’s adoption and success were largely because of the initial distribution Twitter was able to drive. Periscope could very well be the same way. There’s no way you can compete with a platform operating at this level of scale. Which is why Meerkat never really had a chance. Since losing out on the Instagram acquisition to Facebook, Twitter has doubled down on making sure they get in on the ground floor of any emerging form of media. In line with their overall product strategy, they want to be the place the raw, authentic real-time conversations happen. I say that this “war” was over before it began, but really, the Meerkat versus Periscope fight was just a battle in a much larger war. 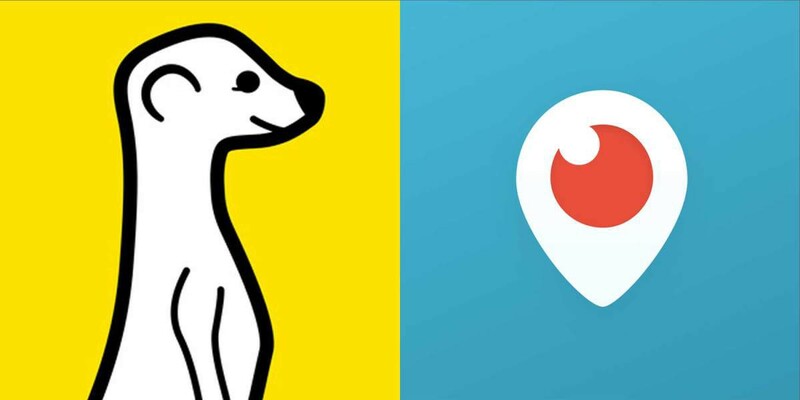 It’s true that Meerkat never really had a chance, but the big war will be between real-time versus near real-time and it will be between the major platform players like Twitter, Facebook and Snapchat. Twitter has shown a track record of evolving other features to fall in line with their overall product strategy, can they do the same with this one? Periscope has a chance to evolve and take on Snapchat stories head-on, especially with some archiving features. That’s when the war heats up and things will get really interesting.